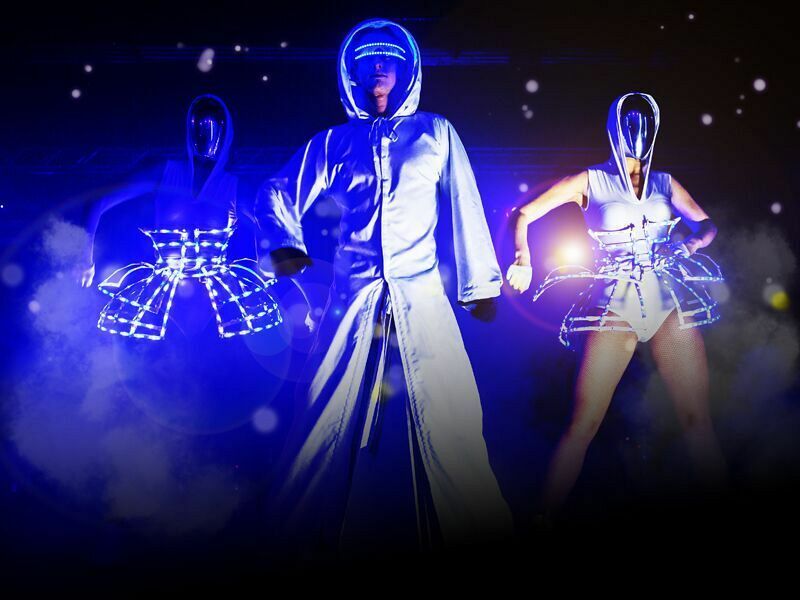 Let yourself be transported to another, more magical world this year, where on arrival you’ll be greeted by giant stilt walkers who will be sure to mesmerise and the spectacular aerial acrobats who will excite with their daring feats of bravery underneath the starlit ceiling. Taste the sumptuous flavours of the mouth-watering canapés served by the attentive hospitality staff and ensure that you treat yourself to an ice-cold drink to kick-start the evening in style. It won’t be long until you’re seated for your delectable three-course feast from the exciting and innovative menu, which will provide a true taste sensation with every bite! This is a Christmas dinner like you’ve never experienced before and will leave you wanting more. 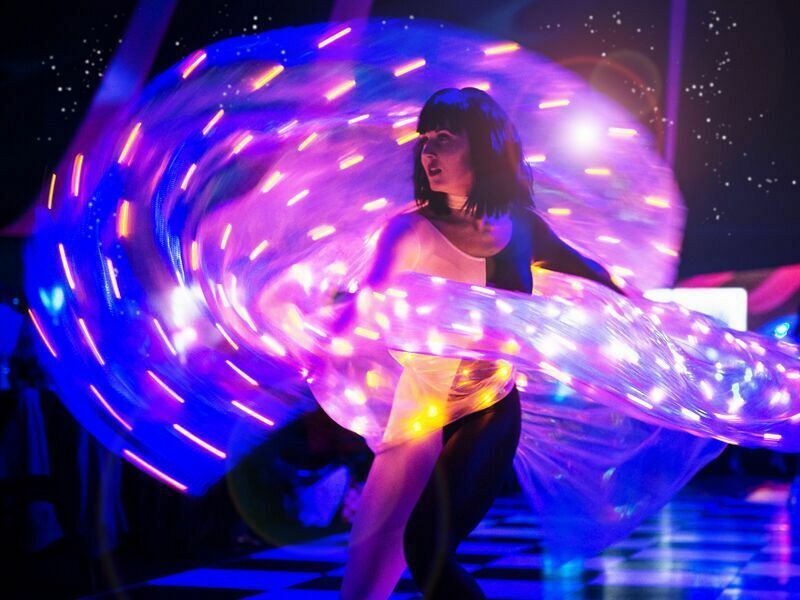 As you indulge in your meal, you’ll be entertained by the fabulous performers; cast your eyes on the intriguing clockwork ballerinas and watch in awe as the superb aerial acrobats tumble and twirl, before enjoying an energetic routine from the thrilling LED dancers. The show comes to a dazzling finish with an unforgettable full cast finale which will take your breath away! A delicious cheese buffet will be available after the dining experience, so ensure that you leave some room! 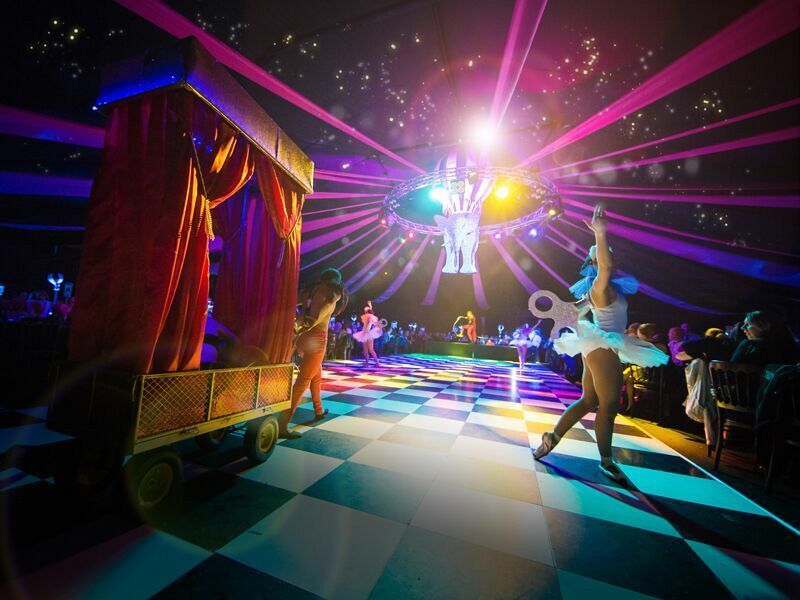 The night is still young after the show and dining experience concludes and there’s plenty of top entertainment to choose from – will you take a ride on the dodgems and waltzers to let your hair down? Or will you take a gamble at the grand charity casino and dance the night away on the state-of-the-art dance floor? Those who make it into the early hours will be rewarded with a delicious survivors’ breakfast – choose from either a grilled bacon or vegetarian sausage brioche bap! Send an enquiry through today and ensure you get your preferred date booked for your exclusive Dream Circus Christmas party night! *Please note that hire of the dodgems and waltzers will incur an additional cost for exclusive events. A small charge will also apply for use of the professional photographer and charity casino.